When it comes to choosing the best gaming router then there must be something special in the list of specification of one as compared to the others. Our ASUS RT-N56U review will reveal some interesting aspects. Frankly speaking, most of the wireless gaming routers available in the market are considered as the excellent products in their class as none of them normally disappoints you. While choosing the best gaming router, speed and stability of the connection are the most important things to be considered. You should ensure before buying a router that you may not need to buy another one in future to get the desired speed and stability of the connection. By the virtue of latest technological advancements, ASUS Dual-Band Wireless-N 600 Router (RT-N56U) saves lots of your money by providing a high-speed wireless connection to its users. It has proved to be a high-performance wireless router for the money. Though the gaming router that supports 2.4 GHz frequency can be fine for you if it does not support 5 GHz frequency then sooner or later you will be compelled to buy another router. So you will be buying the best gaming router if you buy ASUS Dual-Band Wireless-N 600 Router as it supports both the frequencies. The main purpose of using a wireless connection is to remain mobile or eliminate the need of remaining static at a spot. Though one can use Wi-Fi router to a limited distance but still while choosing the best gaming router you should choose one which can provide maximum coverage range of Wi-Fi connection. 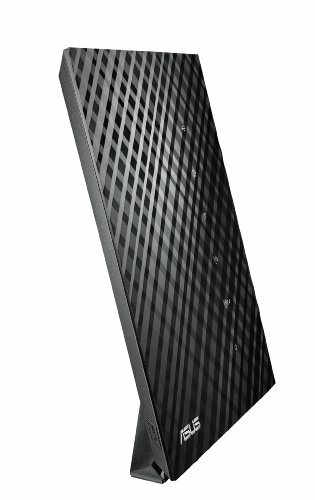 The built-in Beamforming and AiRadar technologies in the Dual-Band Wireless-N 600 Router allow it to provide the best connection coverage range. Normally wireless connection is used by more than one person to play games so your wireless gaming router can be the best if it allows connecting various devices simultaneously. This RT-N56U is the best gaming router as it supports massive data transfers up to 300,000 sessions. Which allow it to provide about 20 times more networking capacity then other routers providing high number of sessions. So even after multiple data transfer sessions its speed does not slows down. Supplied software is Windows only. The importance of price can also not be denied while purchasing a useful electronic device. RT-N56U is one of the best gaming routers as it is available at a very competitive price at various online stores like Amazon as compared to its competitors. Even with all these reliable and useful components and features, there is another factor that makes it one of the better gaming routers on the market, and it's easy installation. The ASUS EZ UI of the Dual-Band Wireless-N 600 Router (RT-N56U) allows you to set up the router intuitively without reading the manual. This model comes packed with a quick start guide which contains a driver CD on the interior. A hot-line page with phone numbers that will get you in contact with specialized technicians from their company in your area which you can contact at any time for support, a power adapter, a warranty card and a small Ethernet cable. The RT-N65U comes with an abundant list of features including BitTorrent Client, FTP Server, UPnP Media Server, DHCP server and much more which are really too many to list. With 4 port switches, 5 internal antennas that permit the router to have a 600 Mbps data transfer rate, very easy to navigate interface. Has the following power requirements, AC 120/230 V nominal voltage, and a 50 – 60 Hz frequency. After going through the reviews of ASUS Dual-Band Wireless-N 600 Router (RT-N56U) provided in this write-up one can easily decide that it is the good gaming router due to its reasonable cost and high performance as compared to other routers of the same class. We hope you liked our ASUS RT-N56U review and if you have suggestions feel free to send us a message, we are always looking for new ideas.